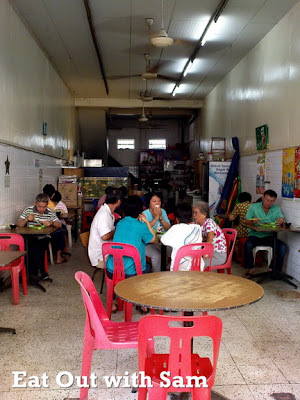 On the early morning of 17th June 2011, I decided to explore along Chowrasta Road and Kuala Kangsar Road and check out the Hawkers Stalls of Curry Mee, Chee Cheong Jook (Cantonese Congee Style) and others too. The Curry Mee Stall is still there. Chee Cheong Jook (Cantonese Congee Style)Stall was closed. In fact, I have not been there for a long time. During my childhood days, I used to stay with Uncle at Chowrasta Road during my long school days. I enjoyed every moment with my cousins. A lot things have changed because of the time. 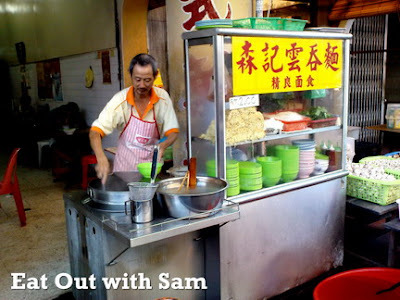 As i strolled along Kuala Kangsar Road, I noticed a familar face at the Wan Tan Mee (Noodle) Stall and realised that the Hawker of Wan Tan Mee (Noodle) who was formerly operating in Kheng Pin Cafe at the junction of Penang Road and Sri Bahari Road. I was given to understand that he has moved out of the cafe for 8 years. Last time i used to patronized his stall. He has a other twin brother who looks almost like each other (Identical Twins) and he is operating in a Coffee Shop at Free School Road. No. 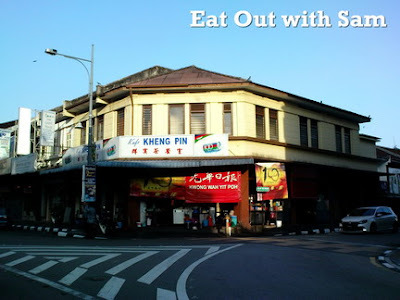 01 : View of Cafe Kheng Pin at the Junction of Penang Road & Sri Bahari Road. No. 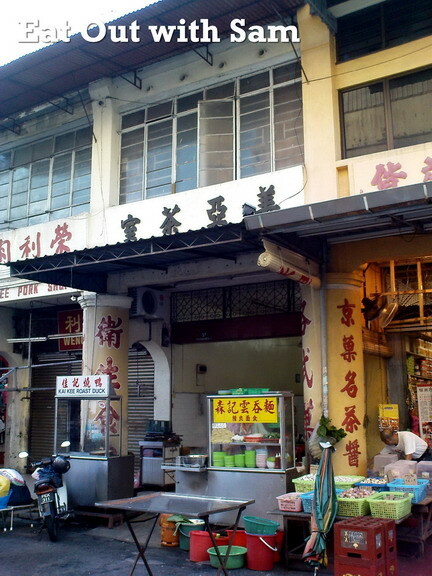 02 : Front View of the Kedai Kopi Bee Ah of No. 37, Kuala Kangsar Road, Penang. The Stall of the Wan Tan Mee (Noodle) is at the Right Hand Side of the Kopitam. No. 37, Kuala Kangsar Road, Penang. 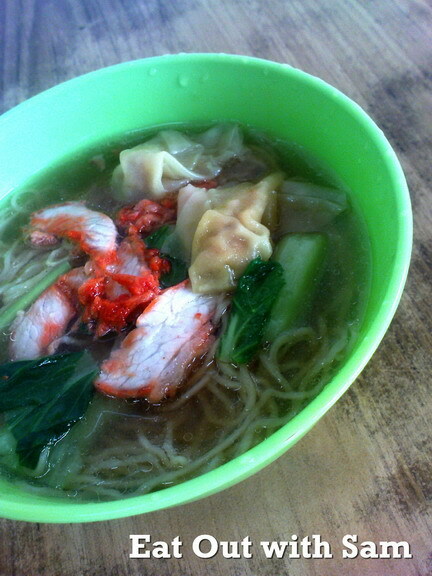 Overall I prefer Wan Tan Mee (Noodle) - Dry Type and 'Hor Fun' (Wide Koay Teow) - Dry Type. 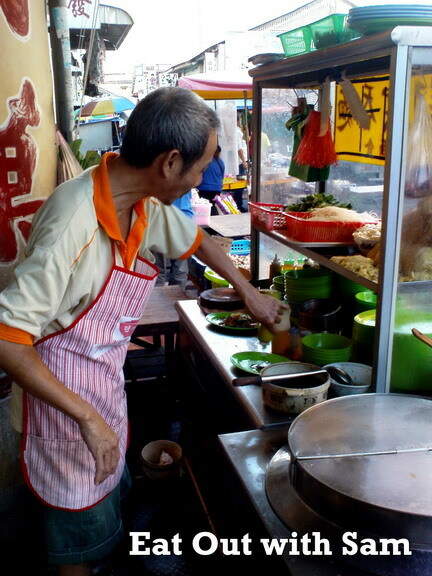 This time you will not find any mushroom on top of the Wan Tan Mee (Noodle) as he used to do that when he was at Kheng Pin Cafe. 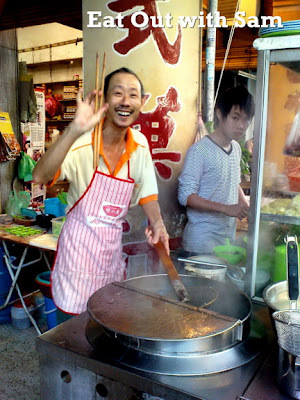 I had a light conversation with him regarding the mushroom and he told me that it was too expensive to put the mushroom together with the Wan Tan Mee (Noodle) because the price of good mushroom has gone up around RM100.00 per kg and it was too taxing for him to do so. So he has decided to make the Wan Tan Mee (Noodle) affordable for everyone. 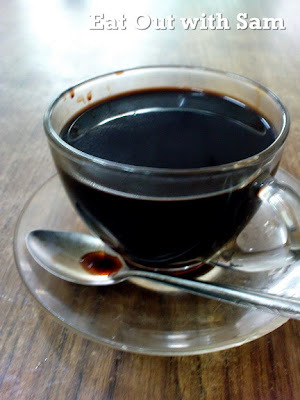 The taste of the Kopi 'O' Kaw is acceptable. 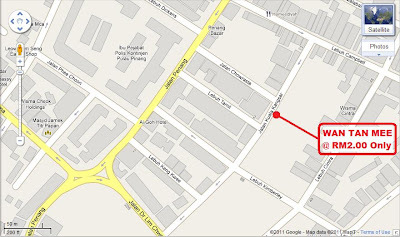 Most of the Coffee Shop Operators are charging RM0.90 to RM1.10 per Hot Cup of Kopi 'O' Kaw. I was very glad that until todate I still can find something C&G (Cheap & Good) in the Heart of George Town on that morning and also have a good satisfying breakfast too. 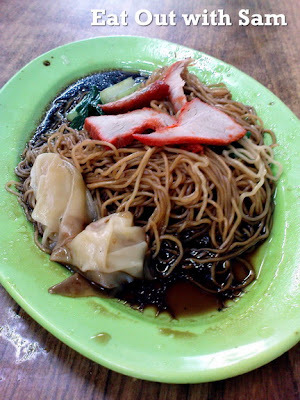 Most of the Hawkers are charging RM2.50 to RM3.00 for a small plate/bowl in the Heart of George Town and it is hardly to get this Wan Tan Mee (Noodle) for RM2.00.